Home→Our Journey→How’d he do dat???? ← My Midas Touch – NOT! 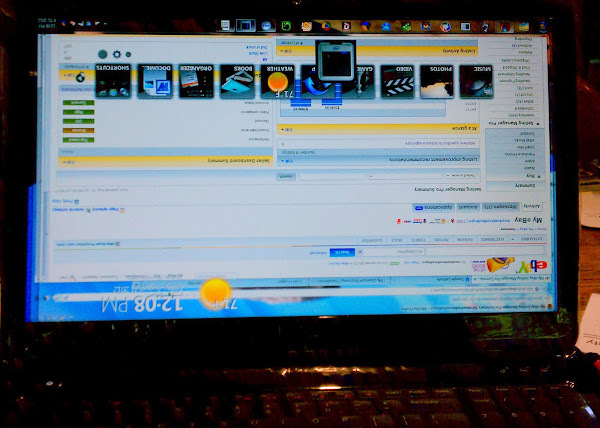 No, your eyes are not deceiving you – my laptop display screen is upside down. And no, it’s not because I stood my laptop on it’s head! Somehow yesterday, my sweet innocent kitty, Chooey, looking for a little (whoops, correction – more like a lot) of attention decided to walk across my keyboard while I was working in my makeshift office which is now the dining room table. When he walked away, my display screen was upside down! Huh?? How the heck did he do that? Was this some sort of trick? When I asked him how he did it, not a word or meow did he speak! Since I’m not good at standing on my head to read things (or to do anything for that matter), Rob googled the problem on his laptop. Amazingly other cats had done the same thing – was this some type of conspiracy? 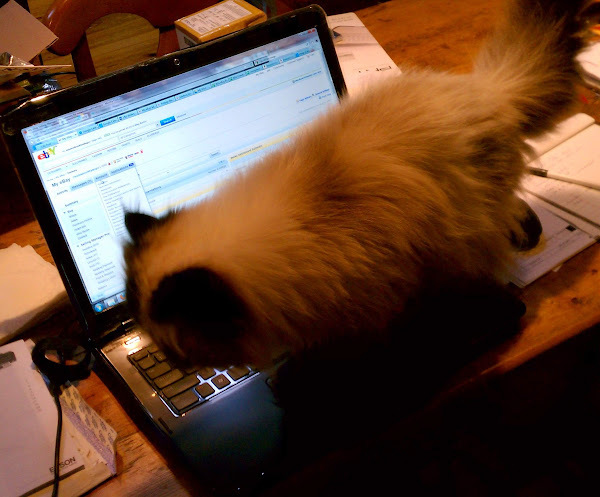 It turned out that somehow Chooey had managed to hit the Ctrl-Alt-Down Arrow all at once with his paws which caused the problem. We quickly figured out that doing the same sequence with the Up Arrow turns it back to normal. We wondered why manufacturers would even provide this capability on their PC’s? Unless you’re some type of acrobat, who would want to view their screen upside down anyway? It must be there for external monitor compatibility or something. But not to worry, we didn’t spend a lot of time pondering this very perplexing question. So if you suddenly find your display screen upside down because of the antics of some critter or some two legged creature, today you have learned something new and you won’t have any cause for alarm since you now know how to fix it. And if that never happens to you, at best it will be a very interesting topic of conversation at your next party. Or perhaps you’ll win some money because you’ll know the answer if this turns out to be a Jeopardy question! Chooey, you are such a character. However, we did learn something from your tactics. I’ll watch for that question on Jeopardy. Meow. Very talented kitty! Learn something new every day – apparently Chooey knows a lot more than we think 🙂 happy keyboard surfing!